Forbes released its annual list of the world’s billionaires this week. 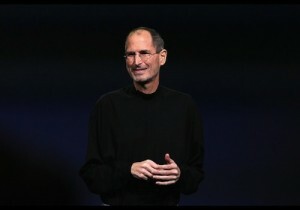 Apple’s CEO Steve Jobs was ranked at number 110 with a net worth $8.3 billion. Jobs' net worth also ranks 34th among billionaires in the United States. Last year he was placed at 136th place with $5.5 billion. Insanely creative Apple chief transforms a multibillion-dollar industry every few years. First, personal computers with Apple II, Macintosh; then film with Pixar; music (iTunes), mobile (iPhone). Now iPad is treated as messiah tablet, savior for publishing industry. Apple still sells computers, but twice as much revenue now comes from music distribution and hand-held devices. Shot past long-time rival Microsoft as world's most valuable tech company in May. Shares of Apple surged more than 80% over the last year. Still, the majority of Job's fortune comes from Disney; as largest shareholder he owns about $4.4 billion of stock. The first place belongs to Mexican telecommunications tycoon Carlos with a net worth of $74 billion. Microsoft founder Bill Gates this time is ranked at number 2 with a net worth $56 billion.